Mississippi’s outdoor scene is one of the most unique you’ll find in the country: from backwoods to river scenes to lowcountry bayous and ocean shorelines, you’ve got the best of many worlds in a single state. The state parks in Mississippi are well maintained and allow you to enjoy nearly every kind of scenery or outdoor activity you could want—plus they’re one of the most inexpensive ways to spend your day. A trip to these 10 best state parks in Mississippi are definitely worth a visit. The historical structures and lush scenery make this park unlike any other in the state. Unique rock formations, hiking trails, and rock climbing attract outdoor lovers of all sorts and offer plenty to keep you entertained. There’s something for every age and every interest here, and you’ll want to visit this park more than once. This massive greenspace in the city of Jackson is both surprising and welcome. Inside the park you’ll find a nine-hole golf course, camping, a small lake, playground, and boat launch, making it a great spot for families and groups of all sorts. It’s also just minutes away from all the best sights and activities in Jackson. Known for its laid back setting with waterfront views, this state park is truly a retreat. It attracts visitors year round, particularly in the fall when the trees are set ablaze with color. Activities include a swimming pool with water slide, disc golf, lake, tennis courts, softball field, playgrounds, and nature trail. ‘Nestled against Geiger Lake, this state park is the perfect summer paradise. A large splash pad will cool you off on hot summer days, plus the lake features boating, fishing, swimming, and paddling opportunities. You can lounge on the beach, or set off on adventure on the nature trails. This slower-paced park makes you want to stop and enjoy the scenery. Activities include swimming, fishing, volleyball, trails, and disc golf, as well as camping in cabins, RV sites, and tent sites. Folks love coming here because it’s out of the way and makes every day here feel like a real vacation. This beachfront state park gives you the best of both land and sea with every visit. You get stunning gulf sunsets, waterpark, nature trails, playground, disc golf, and swimming pool, plus they have campsites that directly overlook the water. Hurricane Katrina demolished the park in 2005, but it has been completely rebuilt for families to continue their beloved traditions here. Over 1,000 acres welcome visitors to this state park, filled with golf, a convention center, and Lake Tangipahoa. You get the true outdoorsy feel here while also enjoying modern amenities like motels and villas for lodging, a swimming pool, and playground. The trails and grounds are well maintained, which makes the visit all the more enjoyable. Beautiful, unspoiled views make this the perfect place to get back to nature. Visitors enjoy roaming the many trails and soaking up the lake views, feeling as though they’re miles away from the bustle of daily life. Kayaking, boating, fishing, and the zero depth splash pad give families and groups plenty to enjoy during their visit. 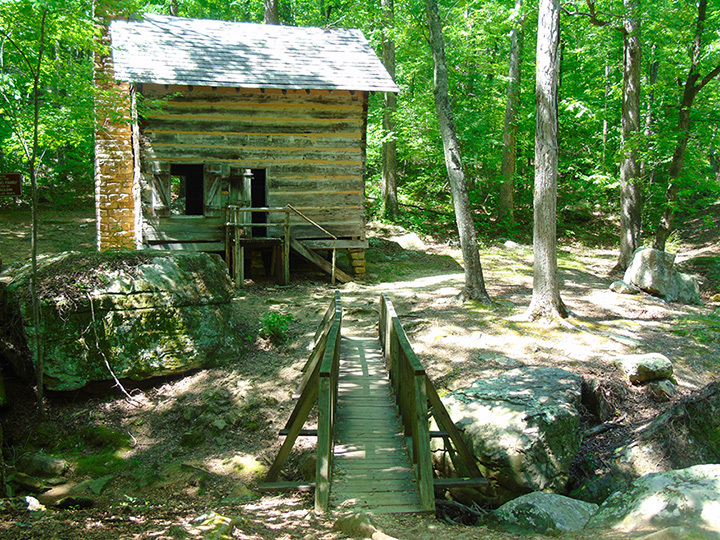 Hidden just a few miles from Tupelo, this state park is a hiker’s retreat. Their complex system offers miles of trails to explore, each one secluded and surrounded by beauty. Trails are well marked and easy to navigate, and hikers will appreciate the care and attention that have gone into creating such a system. This park is a bit smaller than some of the others, but what it lacks in size it more than makes up for in cleanliness, maintenance, and serenity. They offer several camping options onsite, including cabins and cottages, and you’ll have plenty of peace and quiet to keep you company. It’s an older park, just like state parks used to be decades ago, and will surely send you down memory lane.